It's coming to that special time of year again, where we think of hearts and flowers. Engagements and proposals. What are the biggies? Balloons, candy, flowers. Oh, and engagement rings. Yikes. How many of you are expecting an engagement ring this year? Guys like to surprise their sweeties on this day. Some guys pull it off with flair, others not so much. But, before you go all ga-ga over expecting a proposal, maybe you might want to consider this article about whether or not an engagement could hurt your relationship. But, let's not forget what Valentine's Day is, and that's about celebrating love. A Wikipedia search on Valentine's Day is pretty amazing if you'd like to read the history, legends, and traditions of St. Valentine's Day. The History Channel description of St. Valentine's Day is not as detailed but interesting to learn about as well. Here's an interesting fact from the History Channel site. If you are looking for some Valentine's Day quotes you can find 101 of the best at Brainz. 1. "When love is not madness, it is not love." 2. "Oh, if it be to choose and call thee mine, love, thou art every day my Valentine!" 3. "Many are the starrs I see, but in my eye no starr like thee." 4. "Loving is not just looking at each other, it's looking in the same direction." 5. "Gravitation is not responsible for people falling in love." Check out the link for the rest, if you are interested. For the men who are reading this, or if you women would like to direct your man here, in a subtle way, are some tips for gifts for the woman in their life. The site lists items like flowers, chocolates, perfume, lingerie, and other similar things. I'd like to hear from the women who read this blog. What would your favorite Valentine's Day gift be if you could design it? Would they include anything from Gifts.com and the hundreds of ideas they have there? If you're looking for a gift that's more personalized and doesn't cost too much, you might want to consider things like breakfast in bed, or dinner in bed, or even writing a love letter. You can find more easy gift ideas here. If you're looking to get away and have a Valentine's Day vacation look no further. Here are your 2013 Valentine's Day Getaways. From Bed & Breakfast to Exotic getaways. I hope you enjoy your trip. 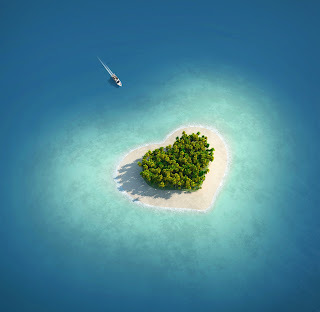 Wouldn't every one of you want to travel to the beautiful island pictured above for your romantic getaway? These are the tips I have for Valentine's Day. If you have more, I'd love to hear about them in the comments section. My ideal gift for V-day? Having the kids and hubby do the housework and/or cook, homemade cards...and lots of hugs and kisses! :) Sounds heavenly to me! I love that photo with the heart shaped island! So cute! "Dose", thanks. I love that island too. I would SO want to live there. Only access by boat, you bet! My favorite Valentine's Day treat is chocolate-dipped strawberries. Yum! 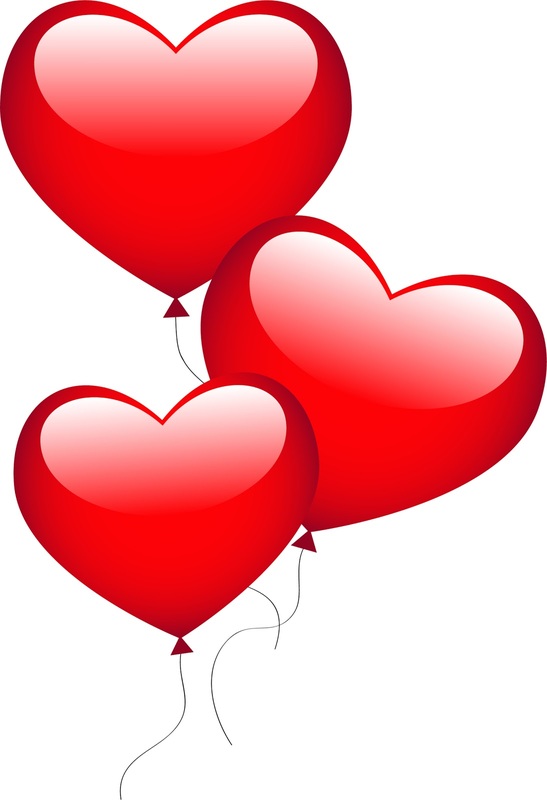 Really interesting info on the history of Valentine's day. Nice quotes. Hi Hope, thanks for the comments. If you're interested in my new book to review, I can send it to you. Anotherjennifer, I LOVE chocolate dipped strawberries. I agree. YUM!